“Driving to work and being stuck in traffic is probably my least favorite thing in the world. It makes my blood pressure go up,” says Erin Hafkenschiel, Director of Transportation and Sustainability at Mayor Megan Barry’s office. You get insight like that when you share little windshield time in a car. It’s called taking a “hytch” -- and it’s unique to Tennessee where Hytch Rewards pays people to share rides. People get paid to drive to work with a friend, neighbor or co-worker? Yes! It’s the best way to get to know interesting, community-minded people like Hafkenschiel, reduce stress and deepen friendships. 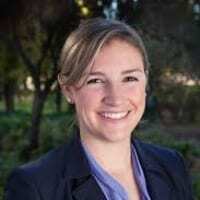 For Hafkenschiel, the challenges of her job leave no time for rest. In a constant search for transportation innovations and working to educate Nashville, she’s a reliable, consistent champion in a community that is seeking to address transportation and sustainability concerns -- two big issues and closely linked topics that become more urgent as the years pass. Nashville is nineteenth on TomTom’s Traffic Index for Worst Commute in the U.S., behind other major U.S. cities like Los Angeles, San Francisco, New York, Boston, Atlanta and Chicago. Today, the average commute time in Music City is approximately 47 minutes. If trends continue, that commute time could more than double by 2040. Freedom, mobility, job growth, low taxes - that’s all great for Nashvillians, “But of course anytime you try and fit more people into a finite amount of space it’s going to lead to some congestion issues. So we are getting really creative about how to utilize the finite space we have on our roads,” says Hafkenschiel.  Hytch Rewards is one of those partners, and winner of the 2018 Emerging Company of the Year Award from the Nashville Technology Council. Hytch is recognized for addressing Nashville’s congestion issues in innovative, if not extraordinary ways. What if you and your passengers ALL GET PAID to share a ride? That is happening in Tennessee, thanks in part to a Tennessee Department of Transportation grant and to forward thinking companies like Nissan, Sprint and Franklin Synergy Bank. Hytch Rewards can vary depending on where you go and how long your drive might be, but everyone can earn up to $.53 (fifty three cents) per mile. Even at the minimum cash reward, which is a penny per mile, in just a few weeks you could earn a tank of Twice Daily gas -- with no cash out of pocket. As for Hafkenschiel, she likes to emphasize that while Nashville does have its congestion issues, it’s still a far cry from the cities with the worst traffic in the world. In case you’re wondering, that dubious honor goes to Mexico City, with Bangkok, Jakarta, Chongqing and Bucharest rounding out TomTom’s top five. It’s easier than ever to sign up to Hytch to help ease traffic congestion, reduce Nashville’s carbon footprint (and our collective stress level) with every shared ride.